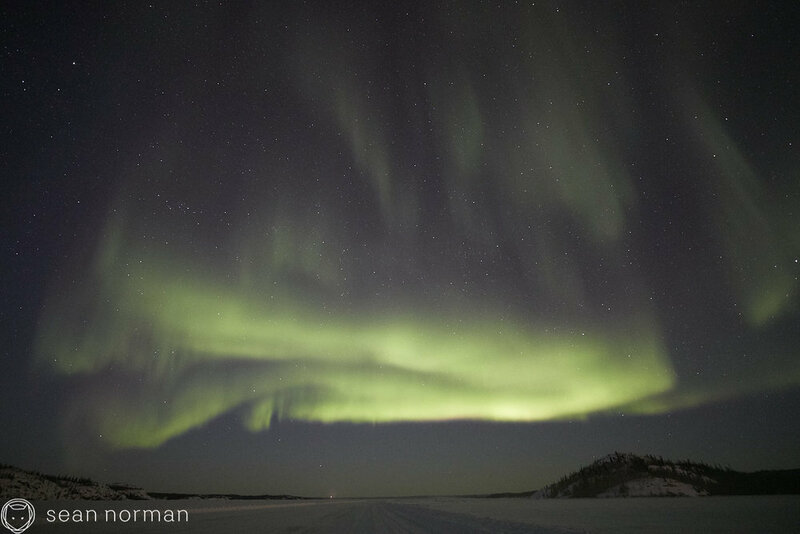 After beginning this year aurora chasing in Norway, winter in Yellowknife took us aurora chasing out onto our frozen lakes which are thawing earlier than I’ve ever seen. Spring is not long now. And then the waiting game was on. Predictions were made, politician (read greatly unsatisfying and useless) answers were offered about if we’ll experience another burst like that tonight. The answer ultimately was a yes, but only the aurora knew for sure, and it took some hours to get it out of her. When you’re from Columbia, that’s what -23°C with a windchill of -33 feels like. And if you made me stand outside for an hour in Columbia in the middle of summer, +35°C is going to feel like 50,000°C to me too. 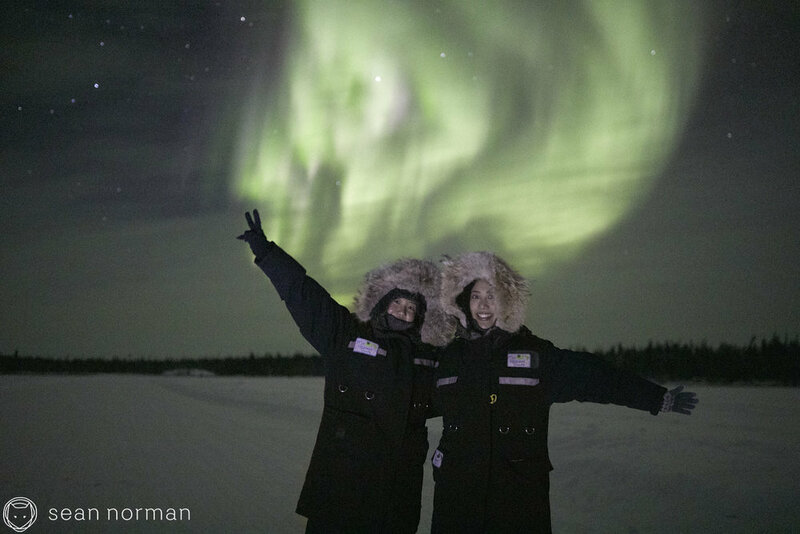 But you shouldn’t worry, because the aurora on nights like this will always warm you up a little inside. I probably look a little spacey to my neighbours as I wander slowly down my front steps each night. It’s a slow few steps with my head mostly skyward checking for stars through the LED sun, or streetlight as the city calls it, at the end of our driveway. Despite the futility of this check and a nearly perfect most recent satellite image, something has changed and there’s a few less stars visible up there than there probably should be. So unless Betelgeuse finally exploded and took half the galaxy out with it, we’re facing a little quickly moving cloud again. All in all we opted to sit a little closer to town tonight and breaks overhead yielded some active aurora earlier in the evening. I stepped out of the car onto a frozen lake tonight, looked up, and felt like everyone needed to step outside immediately. In reality, there was no rush, but it felt like I was seeing the milky way and the aurora for the first time and like everyone else needed to see it right now. The moonrise an hour into our night was something spectacular. It was big, orange, and not the US president. The glow on the horizon was a soft orange fading into a blue and black. It reminds me of those warmer spring nights just around the corner. In like, two months from now. A clear sky chase is one thing, and a wild goose chase is something completely different. Tonight a clear sky chase would have been a wild goose chase. The weather was moving faster than what we could have kept up with, so sometimes it’s good to just hunker down and hedge your bets on very fortunate timing. 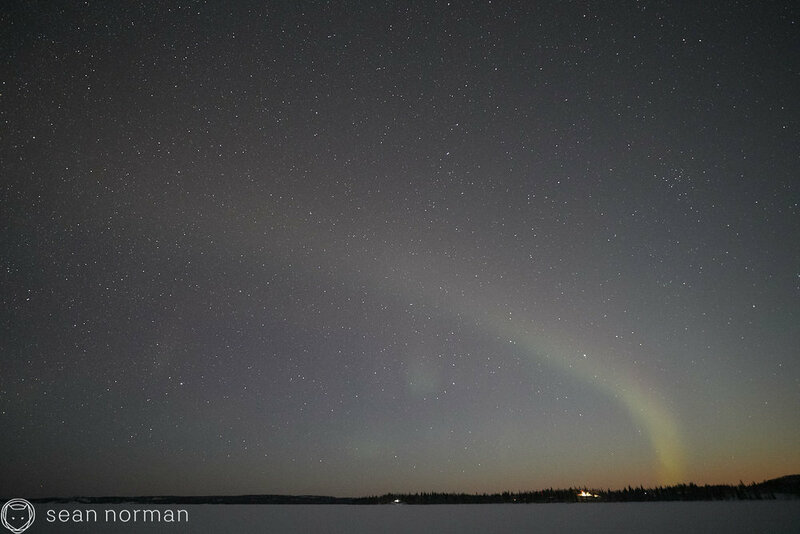 If you can have just 50% of the aurora equation, then give me clear skies any night of the week. 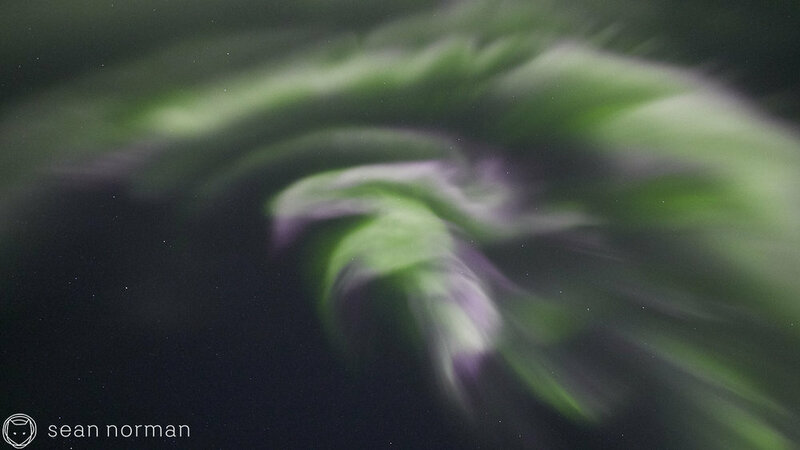 Auroral activity left much to be desired last night, but this is mother nature after all. Small levels of stress are nice, when you believe you can quickly escape them. 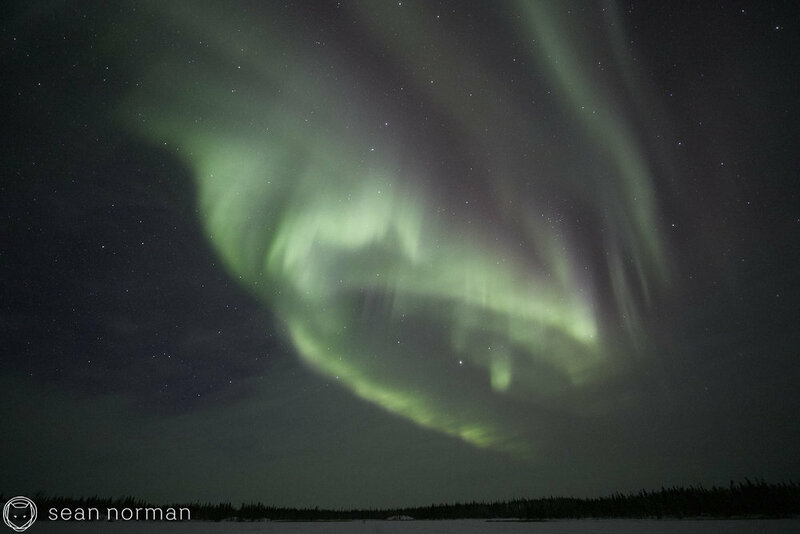 So a little cloud over Yellowknife tonight didn’t feel like the end of the world - believing we would find some clear breaks a little further from town, and then it was the balance of trying to stay under these eastward moving clear skies as the aurora came and went. These nights aren’t perfect, but they’re fun, and certainly an adventure. Unless, of course, you’re so overtired from working almost every night for a few months straight. 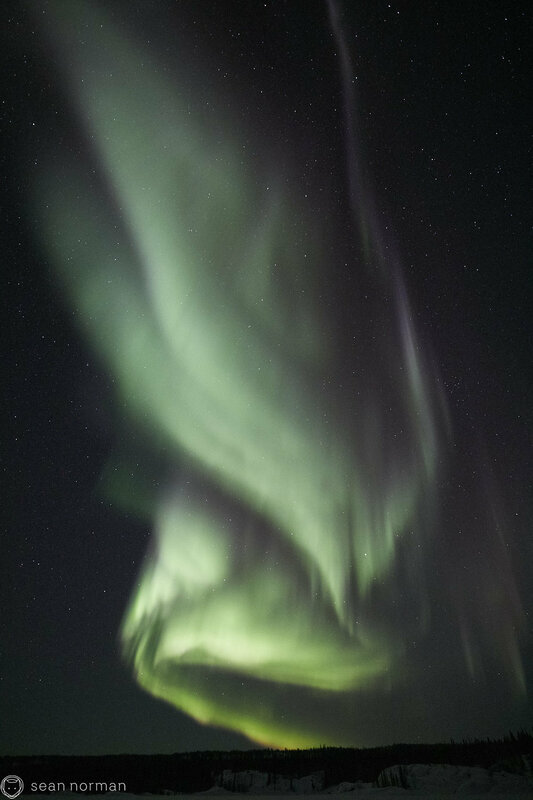 But you know, it’s the adrenaline, and despite such a long, slow middle of the night tonight while some poor weather passed through luckily during weaker auroral conditions, we ended very late on the best natural high imaginable. When both space weather satellites go down for several hours and there’s just a little other data to pick at for hints about auroral activity, I felt more than a little bit naked out there. Not that knowing any of this would change the way the aurora behaves. Plus, imagine, having to live life without real time information from a computer in your pocket. Space weather satellites going down is my equivalent of Facebook or Instagram going down. What is even the purpose of life, basically. 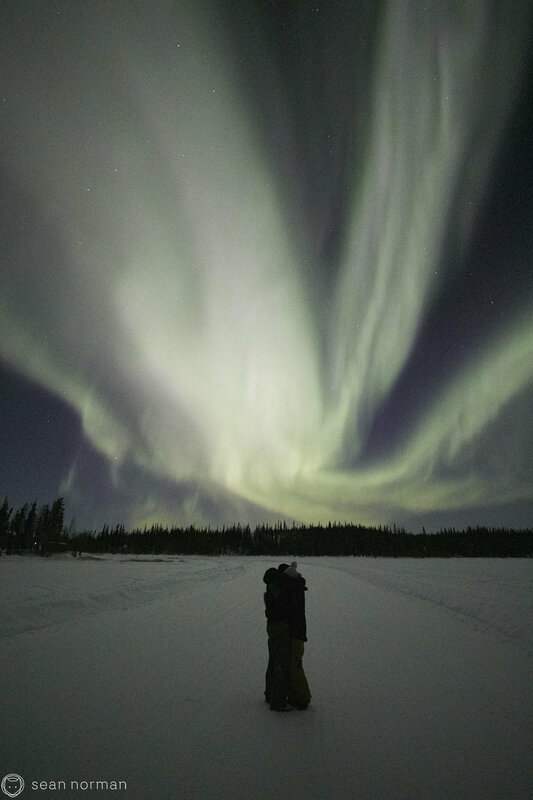 But how nice to just take an evening for how it is, and imagine the feeling of elation when the aurora burst into dancing greens with subtle pink edges after a very quiet first hour or two.